Costa recognizes 15 athletes on National Signing Day! One of the most exciting moments for a student-athlete is National Signing Day. 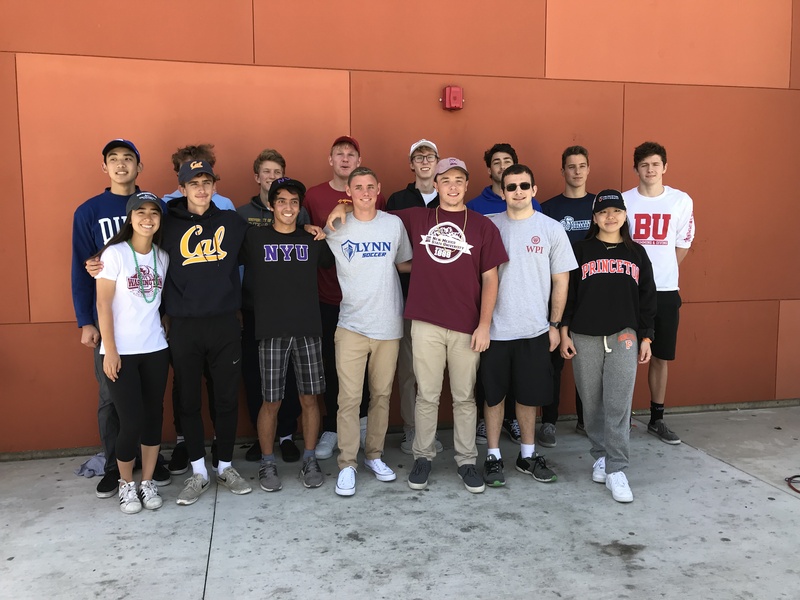 Years of hard work have led to this moment, and on April 11th, 15 Costa athletes were honored as they look forward to playing at a collegiate level. The athletes will be playing a variety of sports: volleyball, basketball, lacrosse, cross country, track and field, softball, swimming & diving, golf, wrestling, water polo, fencing, and soccer. Congratulations to these student athletes who signed their NCAA letters of intent. These universities are very lucky to get our Mustangs next year!